Gothtober SURPRISE it’s DAY 9!!!! artists, Film, Original Music Comments Off on Gothtober SURPRISE it’s DAY 9!!!! 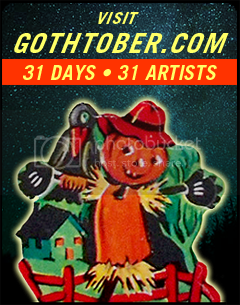 Visit www.gothtober.com and click on DAY 9 and well… it might be the scariest thing on the entire calendar this year. 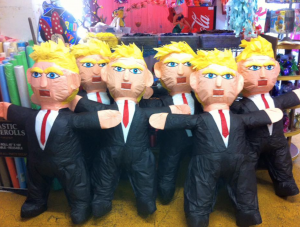 Los Gatitos and their basket of adorable deplorables have collaborated this year to make a short and sweet punk song asking you to please not vote for the Cheeto. I’m not gonna say his name because I’m tired of hearing it, and you know who I’m talking about. Turn this one on, turn it up and sing along, we need it! Don’t kid yourself it could happen here! Now open your eyes before it’s too late! He’s a very bad man, he’s a very bad man!